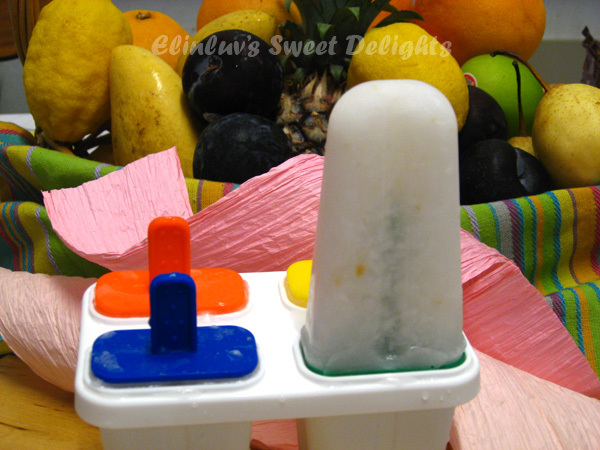 Churn them in blender till well combined and pour them into ice popsicle casing. 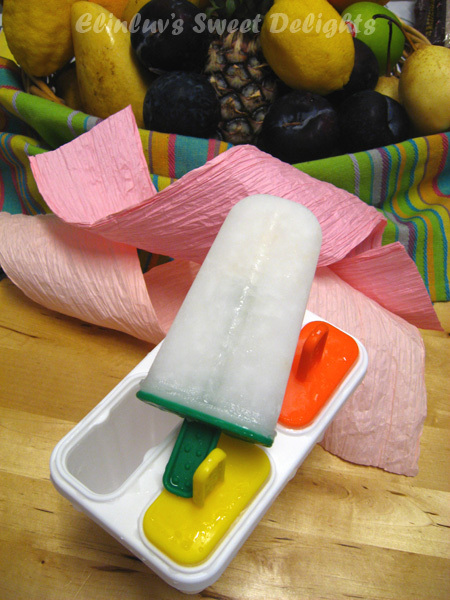 Set them in the freezer . 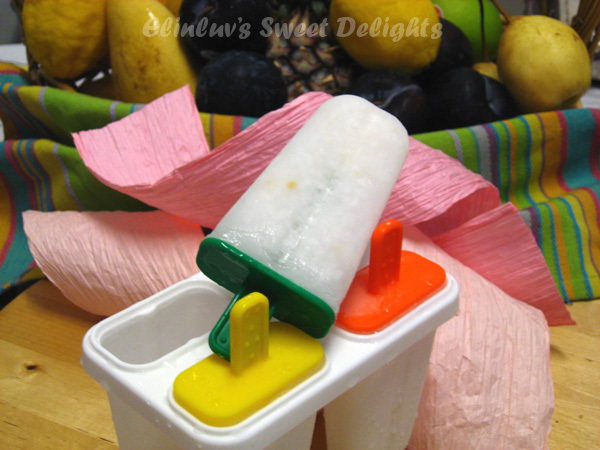 coconut juice popsicle, this is a first for me. It rarely gets to stay around long enough for me to turn them into pops. I buy purposely just for that...I tell you in ice popsicle the taste lingers on...you should try it out :) it is like shaved ice with coconut taste...yumm !